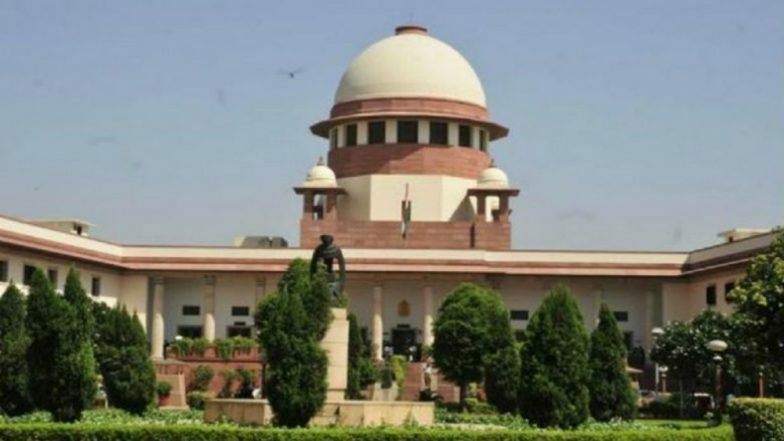 New Delhi, April 12: The Supreme Court on Friday asked all political parties of the country to disclose details to electoral bonds to the Election Commission of India (ECI). A bench headed by the Chief Justice of India (CJI) Ranjan Gogoi also asked the parties to give details of their bank accounts and donations till May 15. The apex court directed the parties to submit details by May 30. The parties are required to submit detail till May 15 in a sealed envelope. Lok Sabha Elections 2019 Schedule: Voting In 7 Phases From April 11 to May 19, Counting And Results On May 23; Check All Dates For General Elections. Meanwhile, on Thursday, the Centre told the Supreme Court that the government's electoral bond scheme for political funding is a "policy decision" and it can't be "faulted" for taking it. The court had reserved the decision on the petition challenging the electoral bond scheme for today. Lok Sabha Elections 2019: Phase 1 Polling in 91 Seats Ends Amid EVM Glitches, Violence, Ink Row & Missing Names. Attorney General K K Venugopal, appearing for the Centre, supported the scheme saying the purpose behind it is to eliminate the use of black money in elections. Electoral bonds were introduced by the Modi government in the last fiscal as an alternative to cash donations made to political parties.